Americans are quite familiar with the names of billionaire Warren Buffett, one of the world’s richest men, and his investment company, Berkshire Hathaway. 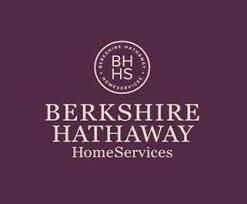 Now, the Berkshire Hathaway name will be even more visible in San Diego County, and throughout the United States, as it will be found on real estate “for sale” signs. As of Monday, Sept. 23, 2013, an established California real estate firm took on the prestigious company’s name. Prudential California Realty was purchased by Warren Buffett and Berkshire Hathaway. With its headquarters in Carmel Valley, the company has a network of 62 offices and 3,200 agents in Southern California and the Central Coast. Many of those agents have been with the company for a substantial portion of its 20-year existence under Prudential California Realty. California Properties focuses on the luxury market in such areas as Rancho Santa Fe, Del Mar, La Jolla, Newport Beach, Beverly Hills, Palisades and Brentwood, said Cabot. “We’re primarily a luxury real estate company in Southern California and we have been for two decades,” Cabot said.